As the nation's largest drive-in chain, SONIC® has successfully served hot, fresh, delicious made-to-order food for more than 60 years. We're a rapidly expanding brand with ample open territory and choice locations in many states. SONIC is more than an iconic franchise brand; we're a solid investment. 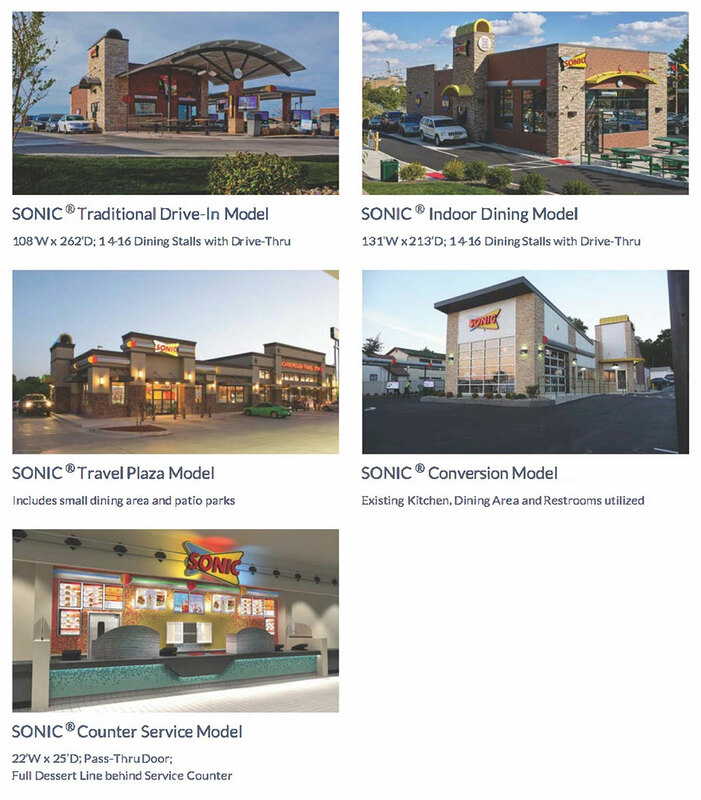 Backed by a best-in-class franchise support team, top-notch menu development and highly popular national advertising, SONIC franchise owners saw average gross sales-by-store increase from $1,072,000 in 2012 to $1,283,000 in 2016, with 27 percent of our stores exceeding $1.5 million in gross sales in fiscal year 2016. 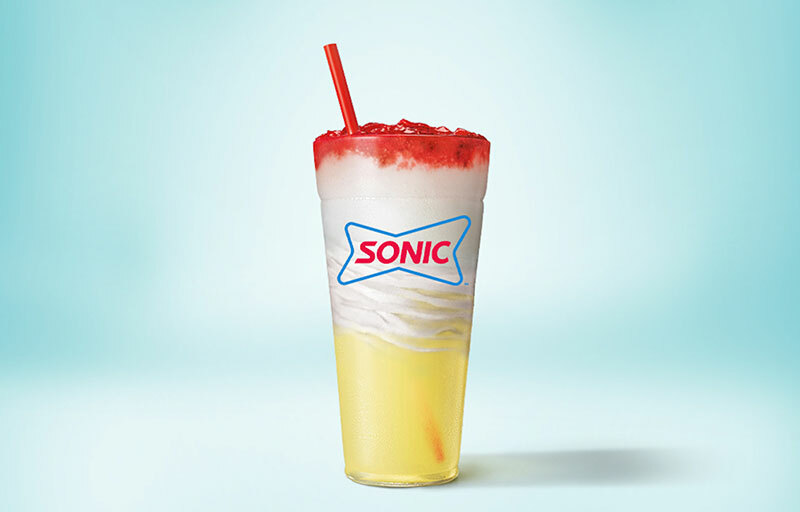 There has never been a better time to become a SONIC franchisee. As the nation's largest drive-in chain, SONIC has successfully served hot, fresh, delicious made-to-order food for more than 60 years. SONIC's founder, Troy Smith, Sr., opened his first drive-in in 1953 in Shawnee, OK, under the "Top Hat Drive-in" name. Although it was a root beer stand, he had big dreams. SONICHe expanded on his own before teaming up with Charlie Pappe. 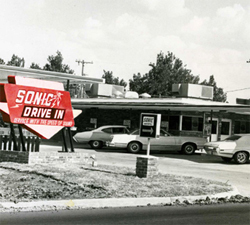 In 1959, the SONIC Drive-In name was born and franchising began. Today, we franchise and operate more than 3,500 SONIC Drive-Ins in nearly every state. SONIC is authentically mid-century and modern, a classic that continues to innovate. At a typical SONIC Drive-In, customers park in colorful canopy-covered spaces and push our iconic red button when they are ready to place their orders using our speaker system. Friendly Carhops deliver delicious food and drinks to our customers car-side, but at many SONIC locations customers are also able to enjoy patio and indoor patio dining as well as the traditional drive-thru service. Our drive-in experience, together with a unique menu and personalized service, position us as one of the most differentiated concepts in the Quick Service Restaurant (QSR) industry. This is how we SONIC! 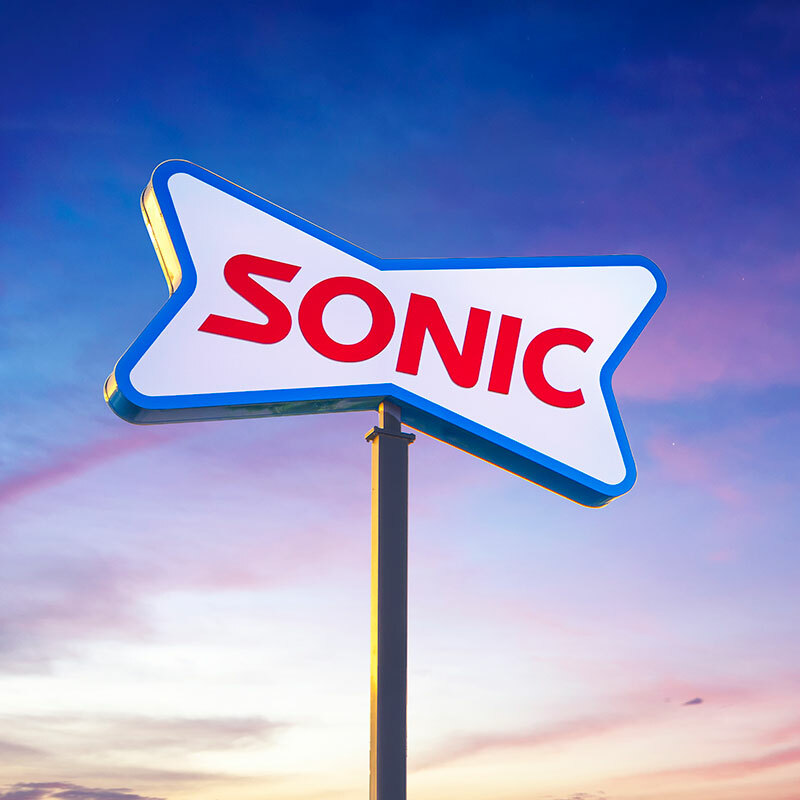 Despite our size, SONIC is a rapidly growing and robust franchise opportunity. 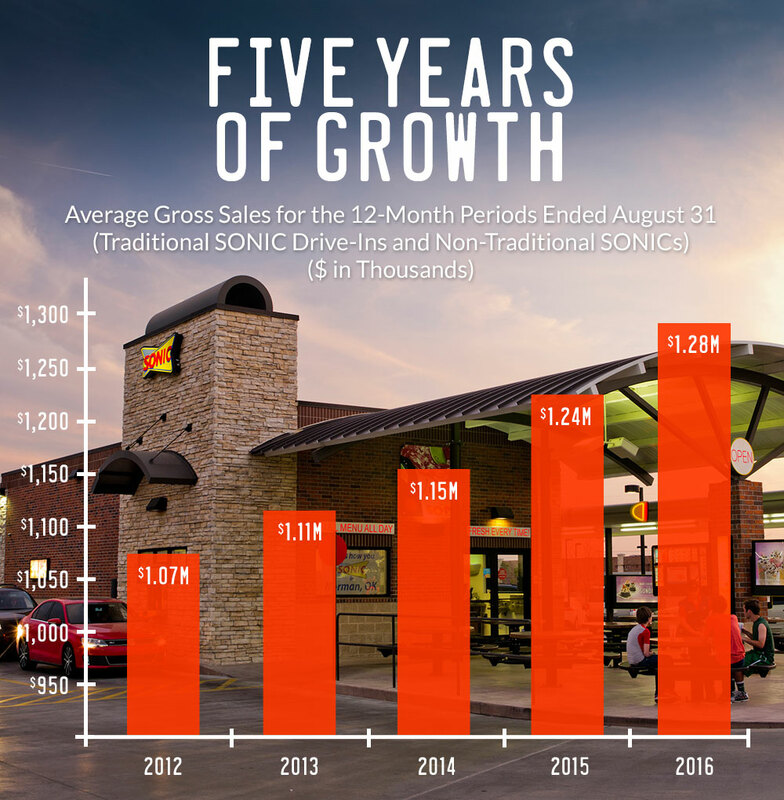 We have aggressive growth goals and now is an amazing time to become a SONIC franchisee. You might be surprised at the open and even prime locations we have targeted for expansion. "If you're interested in a 21st century brand with a rich history and track record of success, then you've come to the right place. SONIC has one of the most diversified daypart strategies in the industry, allowing our franchisees to maximize their assets and workforce to reach more customers throughout the day," says Clifford Hudson, Chairman of the Board, President and Chief Executive Officer of SONIC Corp. "With SONIC's unit economics, highly differentiated brand equity and entrepreneurial spirit we're poised for our next level of growth. We want you to be the next SONIC success story." We've increased our same-store-sales dramatically thanks to innovative menu items, highly visible national broadcast marketing and state-of-the-art support systems that help our franchisees create larger margins. Our average gross sales per store has increased four years in a row, rising from $1,072,000 in 2012 to $1,283,000 in 2016. With a menu offering so much variety, SONIC's customers keep coming back to experience all of SONIC's five balanced and distinct dayparts. Unlike other concepts that have one or two strong dayparts, our SONIC Brand Treasures work for you throughout the day. Tasty breakfast, lunch, afternoon, dinner and evening menu items are served fresh all day. What does it take to become a SONIC franchisee? The franchise fee is $45,000, with a total investment for a traditional SONIC ranging from $1.02-$1.77 million (excluding land). The net worth of a partner can be used toward the total net worth/liquidity requirements, which helps to ease costs. The term of a traditional SONIC franchise is 20 years, plus a 10 year renewal. Thank you for your interest in a SONIC franchise! Please fill out the Request Form and click the "Submit Request" button. You'll hear from us shortly regarding your franchise information request.